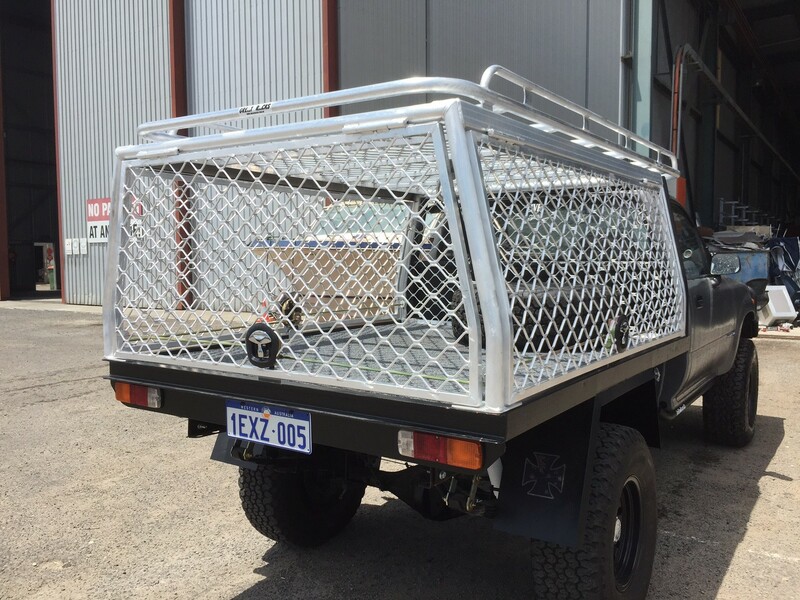 We have been fabricating a range of aluminium products for over a decade. 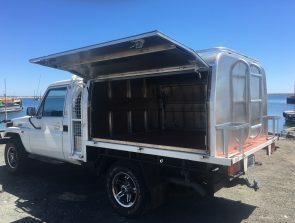 We would not have stayed in the industry for such a long time if it weren’t for our high level of workmanship and customer service that has built our solid client base over the years. When you choose us as your aluminium fabrication firm, you can rest easy knowing that your order will be completed to the highest quality standards. You might need a sturdy storage space for transporting your tradesman tools and equipment. On the other hand, you might be looking for an aluminium UTE canopy to secure your camping gear during off-road adventures. 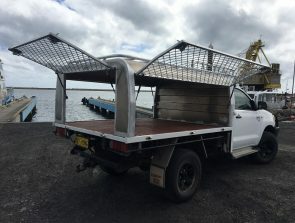 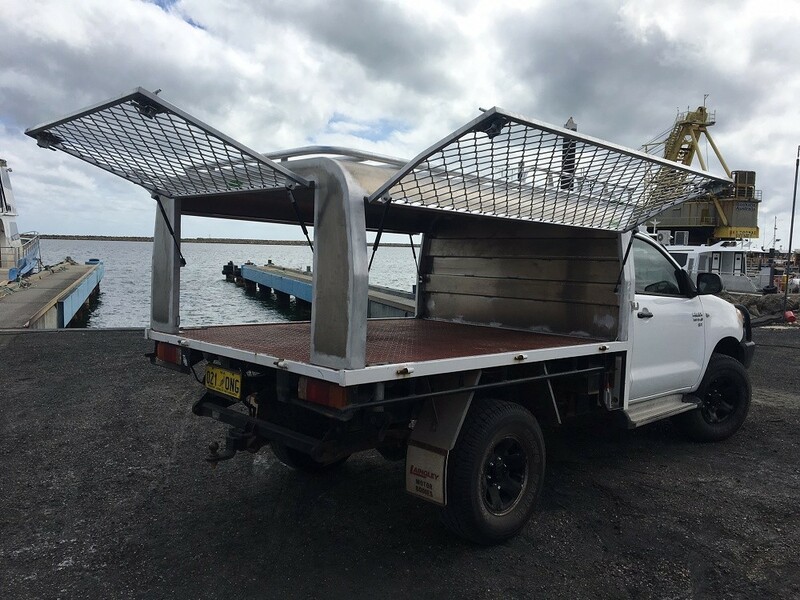 Whatever your needs may be, we can custom build an aluminium canopy for your UTE to your specifications. 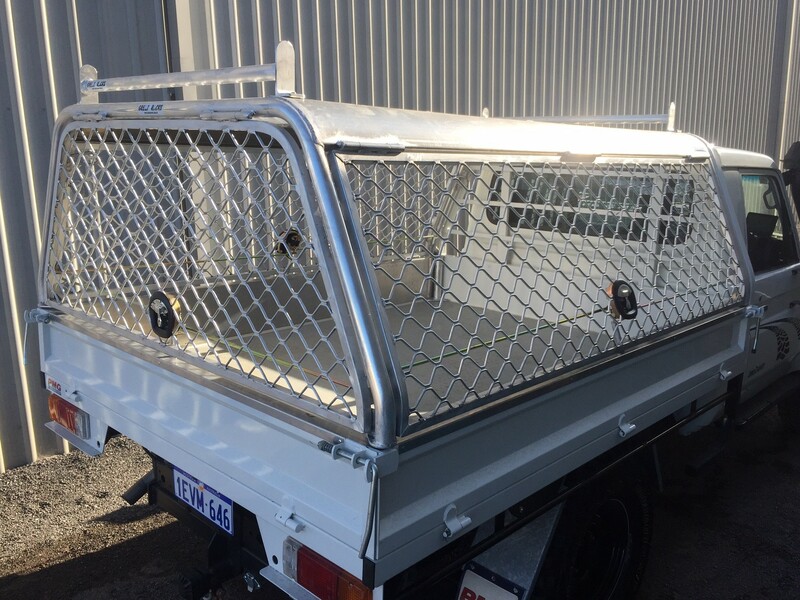 Our aluminium UTE canopies come in various designs and are all fully welded (no pop rivets and screws). 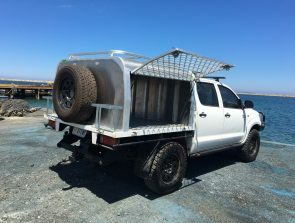 Framed using top quality materials, our products are built to last. Aluminium lock-up canopies are the way to go if you want to ensure that your items are securely stored. 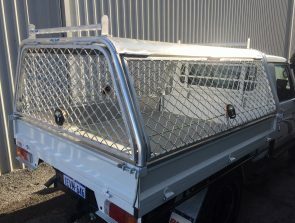 For ease of access, you can request to have an aluminium UTE canopy with 2, 3 or more doors. 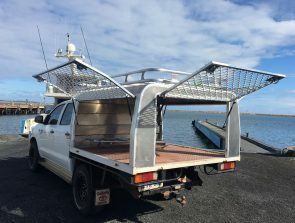 Solid roof and front using 3mm thick marine grade aluminium plate, fully framed for extra strength with 3 amplimesh doors on gas struts, locks all keyed alike. 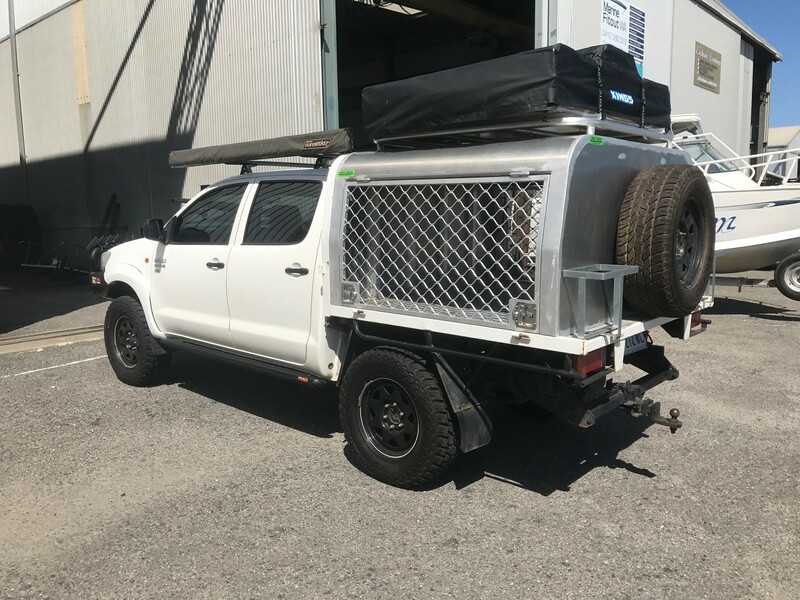 Solid roof, front and rear using 3mm thick marine grade aluminium plate, fully framed for extra strength with 2 amplimesh side doors on gas struts, locks both keyed alike. 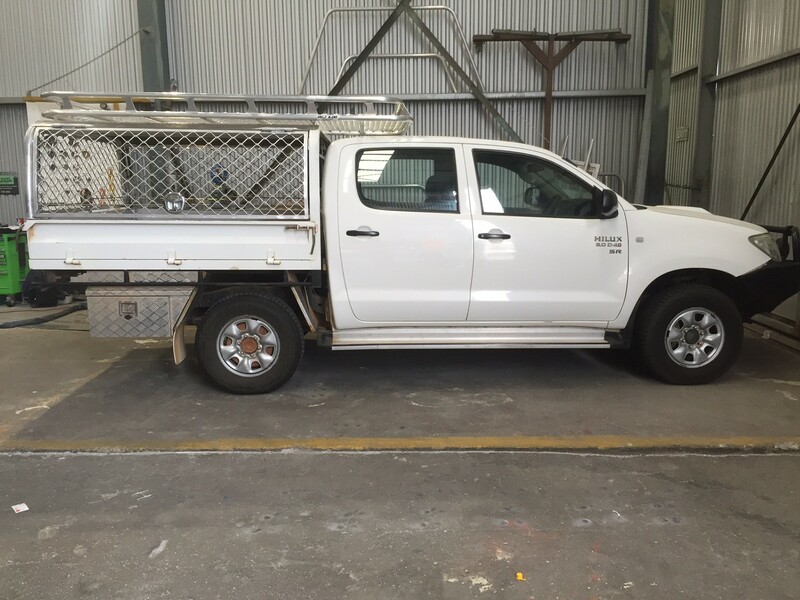 For quality aluminium UTE canopies that are purpose-built, look great and are durable, contact Great Racks today at 0424 700 560!